Specialized nutrition with IQ blend of brain nutrients that helps in foetal brain development & provides the energy, protein and calcium needs to the pregnant or breast feeding women. Pack Size: 200gm and 400gm of powder. Simmom Vanilla Powder is used by pregnant and breast feeding women to fulfill their daily nutritional requirements. 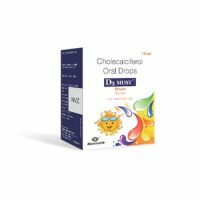 This Mothercare Product provide nutrition during pregnancy and lactation leads to the growth and development of the foetus and adds to the maturity of a healthy baby. It is a specialized nutrition offering with IQ blend for brain nutrients & high quality protein that helps in foetal brain development and healthy birthing. The product contains Skim Milk Powder, Maltodextrin, Sucrose, Fiber, Vitamins, DHA and Minerals. Vitamins are essential for the growth, development and metabolic activities in different body parts. Minerals are chemical elements, which involved in various processes of the body. 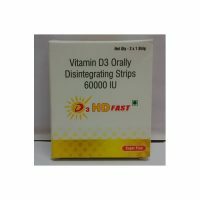 They help to regulate cell function and it act as building blocks for cells and organs. Proteins are the very important building blocks of life which are required for the structure, function, and regulation of the body’s cells, tissues, and organs. DHA is a fatty acid which is used as a supplement & maintenance of normal brain function. It is also used to prevent disease related to heart and circulatory system. Simmom provides the energy, protein and calcium needs to a pregnant or breast feeding mother. 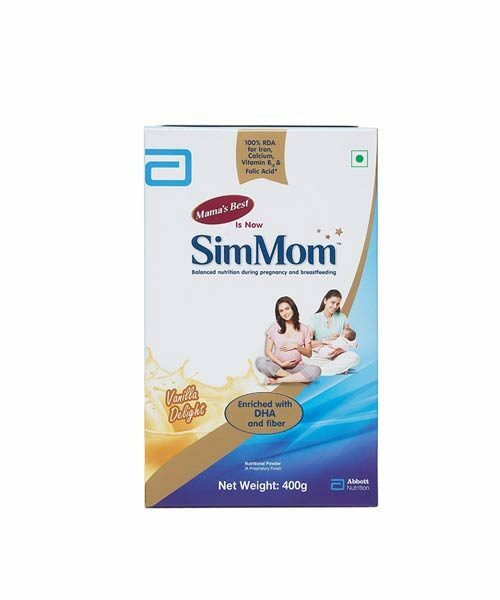 Simmom helps in healthy weight gain which is required during pregnancy as it is low in fat and sugar, has zero transfat and has high quality protein. Simmom Vanilla Powder contains Multivitamins, Minerals, Fats, Protein and DHA. Mix three scoops of Simmom Vanilla Powder in 200 ml warm previously boiled cow milk. It can be mixed with drinking water as well.